10 Easy Hair Care Tips If You Straighten Your Hair Too Often! 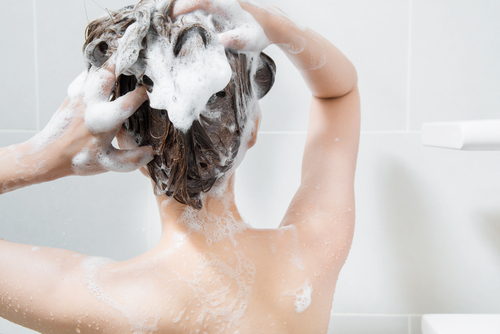 We’ve all been told it’s bad for our hair, yet we do it anyway. But even if we are flouting haircare rules, we can definitely be responsible about it. Here are some haircare tips for damage control if you just can’t resist straightening your hair often! Never, ever style wet hair. Wet hair is weak and fragile and therefore susceptible to easy breakage. Applying an iron on wet hair will totally fry your strands and cause them to fall out. Wait till it dries at least 70% before you apply any heat. You can either air dry or use a drier to ensure it is completely dry, before turning on your straightening iron. Be sure to avoid using a hair brush which will break wet hair easily. As a thumb-rule, always protect before you heat treat your hair. Did you know the temperature in hair straighteners can go upto a whooping 200 degrees celsius? This is enough to cause some insane amount of damage to our precious strands. Make sure you invest in a good quality heat protectant to reduce the damage done by heat styling as it will act as a protective barrier on your locks. This is a step that you definitely should NOT miss out on while heat styling. We know how expensive hair serums and sprays can be, but be generous with the amount of product you put on your hair. Remember, it has to coat your hair evenly for it to actually work. Just a spritz here and there is going to do you no good. Make sure you are using a generous amount to reap all the benefits. Hair spas work to repair damaged hair cuticles in an attempt to reverse the effect of heat and chemicals on hair. It is important to restore the cuticles to seal in shine. These are often accompanied by a relaxing massage and steam that is just heavenly. If you’re a girl who heat styles her mane often, then your strands deserve some TLC. Learn how to do a hair spa at home here. Damaged hair will only get worse if you keep straightening it. Split ends can get even drier and look straw-like as well as prevent you from achieving a sleek look if you keep using heat on them. It’s best to get a trim to get rid of these ends and start fresh often. An all natural hair mask made from nourishing ingredients in your kitchen like milk, oats, eggs, avocado, yogurt and honey can do wonders for your locks. If you straighten your hair often, make sure you’re doing some damage control by nourishing your strands back to health with a moisturizing mask. You just need 2 or 3 ingredients that will barely take any time to mix together. Do this on weekends if you can’t find the time during the week. Trust us, it’s the best way to get soft, shiny hair. 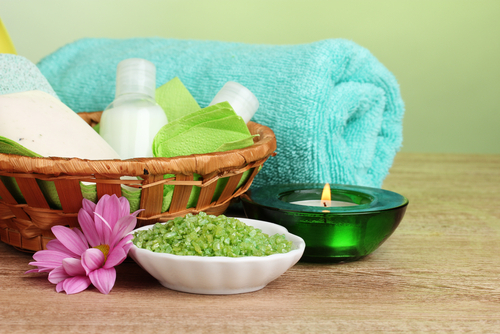 Try any of these easy homemade hair masks. Be very generous with using oils. You have so many options these days, from heavier conditioning oils that have to be washed off to lighter leave-in oils. Pick one that’s right for your hair and be diligent about it. If nothing else, just use coconut, olive or almond oil regularly. It will certainly strengthen hair that has been weakened by too much heat. Smoothing shampoos and conditioners like these from Tresemme, that contain keratin, give shine, softness and smoothness to your strands. These smoothing shampoos and conditioners make your locks easier to style, which means you will need to use less heat on your hair. Since you’ve put your hair through a good amount of heat, it is wise to maintain the look for as long as possible. Avoid experimenting with elaborate twisty hairstyles after straightening which will inevitably ruin the straightness of your hair. Try avoiding sweating to prolong the style so you can cut down on how often you shampoo and heat style your locks.